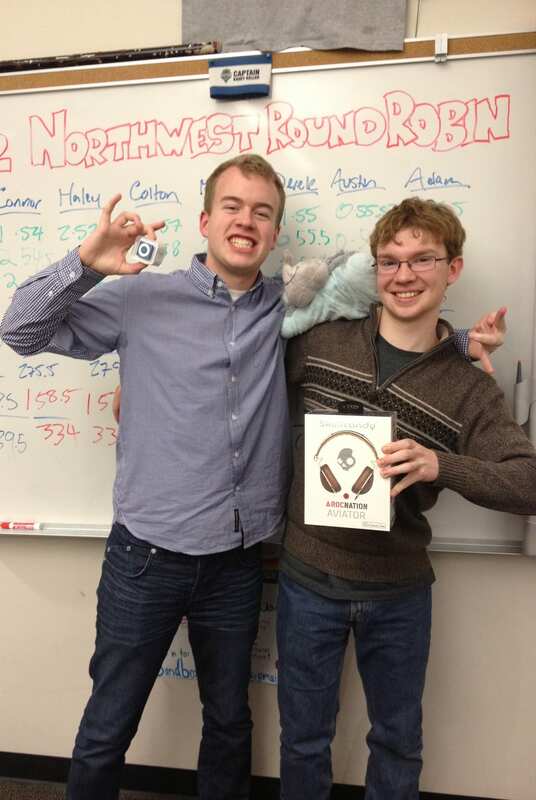 SAMMAMISH, WASH.—Bainbridge’s Alex Teiche and Tahoma’s Connor Durkin were declared co-champions of the 2012 Northwest RR, having cleared to the final round (Alex also won Top Speaker). Congratulations to both debaters! Alex is coached by Rebar Niemi and Jordan Hudgens; Connor is coached by Ashley Skinner, Fritz Pielstick, and Nick Blanchette.